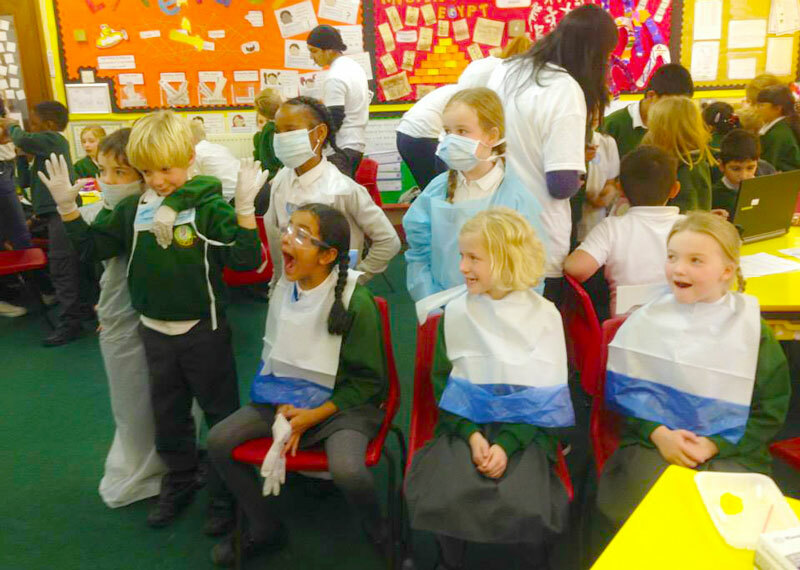 Cristina Parenti (4th Year) writes: The Birmingham U21 UNMDG committee, organised an oral health promotion day at a Primary school in Sutton Coldfield, Birmingham . 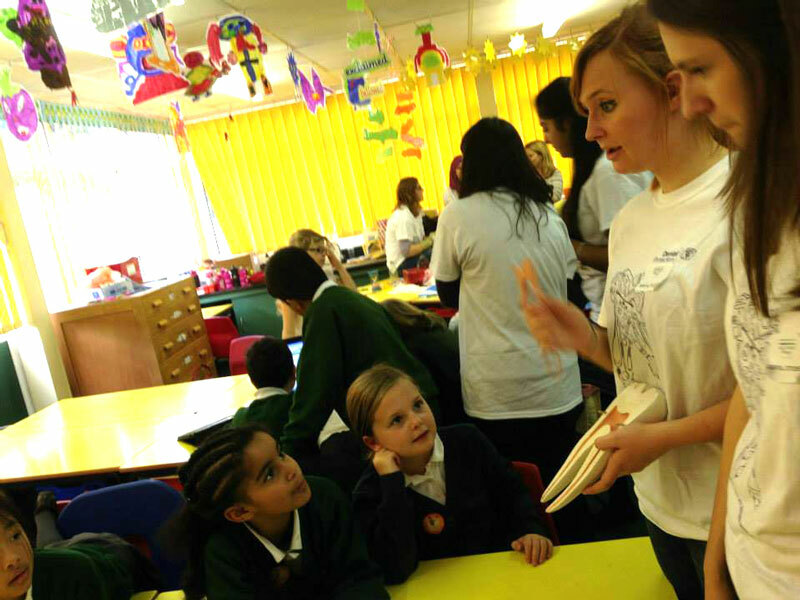 The committee and 20 eager dental student volunteers from second and fourth year, provided children between the ages of 7-10 years old, with information on how to manage their oral health. There were four stations; Tooth brushing, Diet advice, Tooth anatomy and structure, A day at the dentist. The children were extremely enthusiastic and intrigued by the numerous props and models we had displayed across the classrooms. We demonstrated tooth brushing techniques using videos and over-sized models of jaws and toothbrushes. 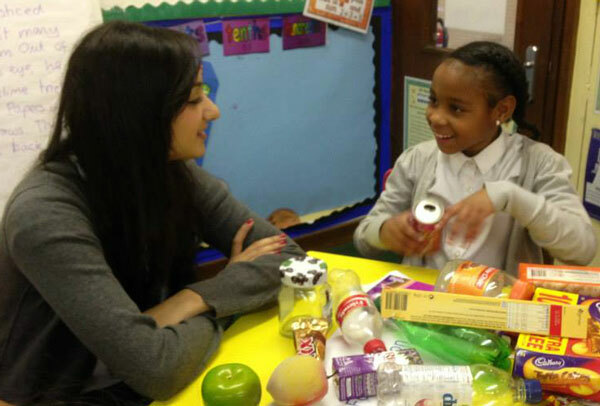 At the next station, the children were asked to sort foods and drinks into a good and bad pile and asked to justify their choices; the message of hidden sugars was strongly reinforced. 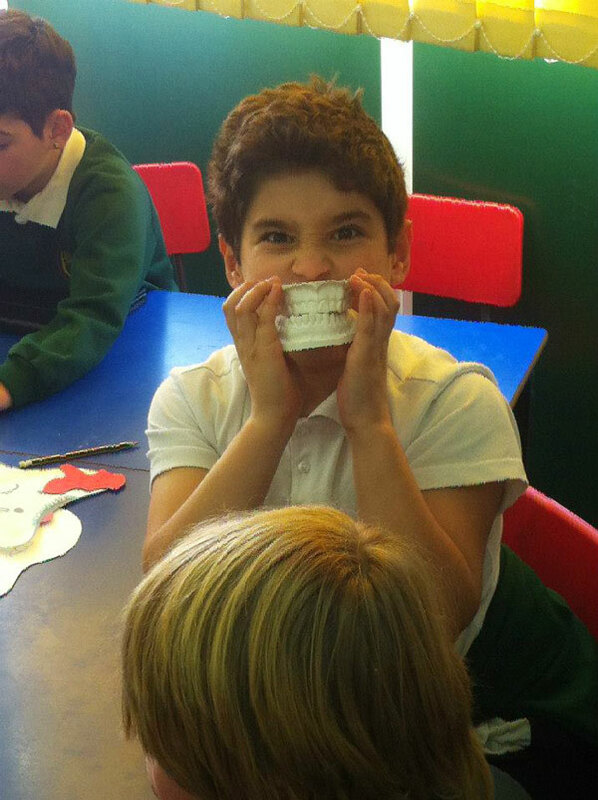 On the tooth anatomy station, the children were educated on the structure of teeth and the uses of each type of tooth. 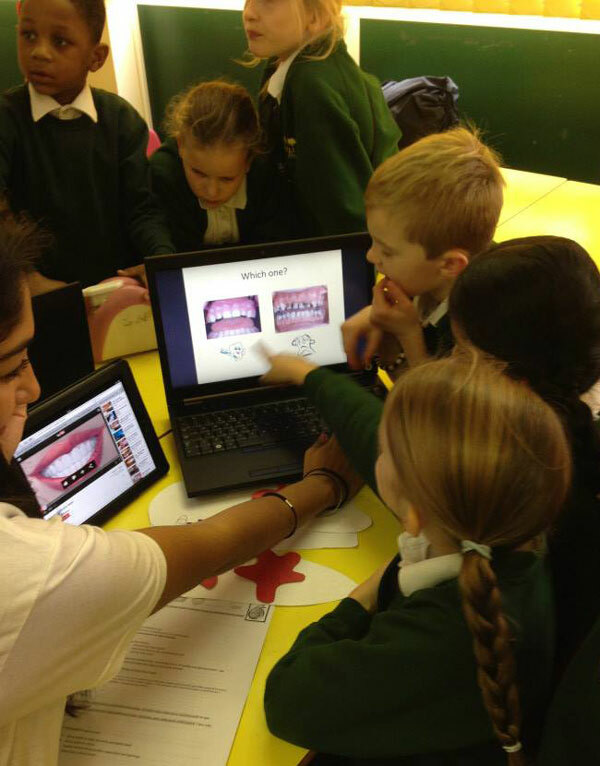 Finally we had a station which simulated ‘A day at the dentist’. This station was a hit! 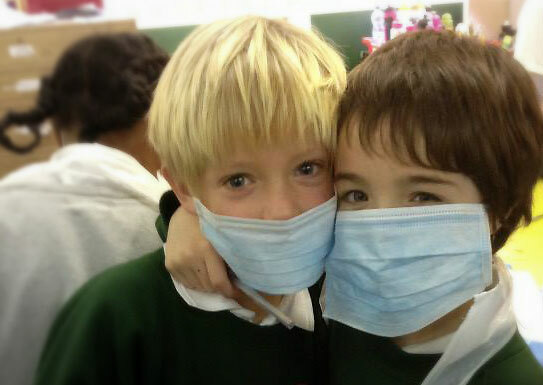 Here, the pupils eagerly dressed as dentists and patients and familiarized themselves with the different instruments and materials used. 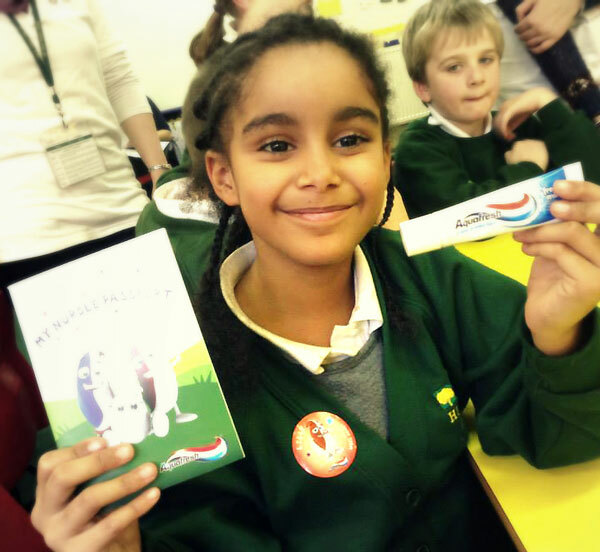 At the end of the day, we handed each child a goodybag with plenty of dental goodies such as pens, toothpastes, tooth-brushing charts and stickers kindly donated by GSK, IDH and Colgate; the children were ecstatic! Overall the day was a great success and it was clear to see that the children had learned a substantial amount from the fun and interactive experience! We could not have done this without all our volunteers, they were an amazing bunch! 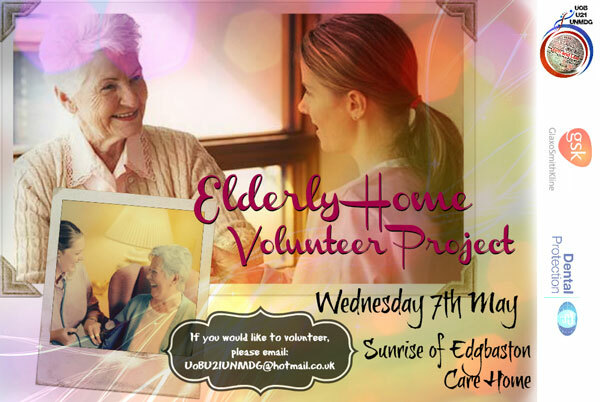 The UoB U21 UNMDG’s next project will be held in an elderly home in Edgbaston on the afternoon of the 7th of May. 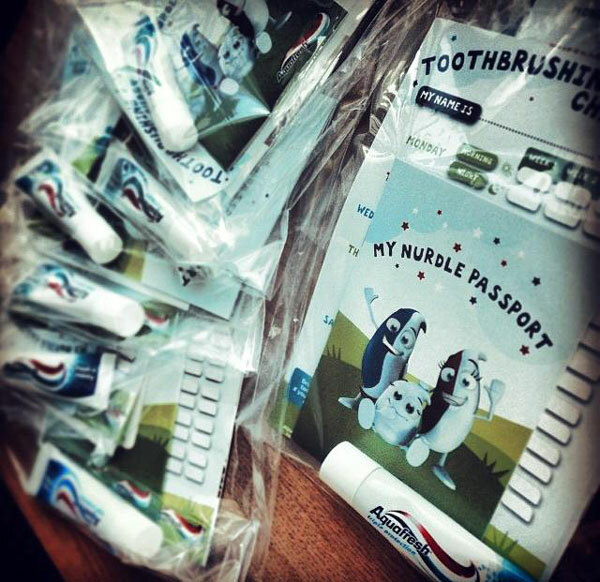 This time, it will cover not only oral health and oral/denture hygiene but also physiotherapy and healthy living advice!